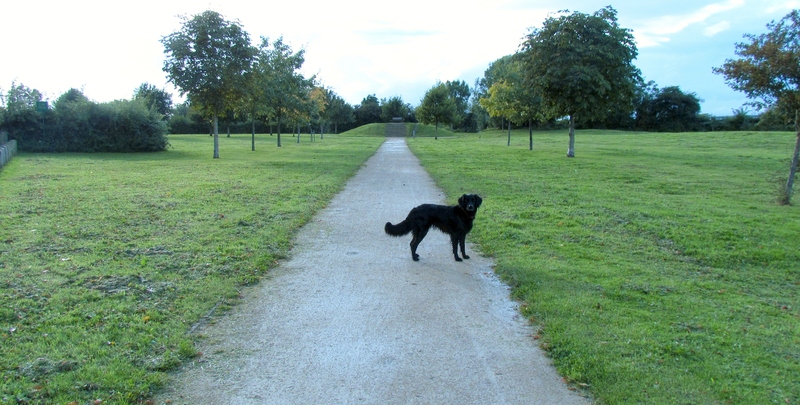 We began today’s walk by crossing the harbour and following the path alongside the New Cut. 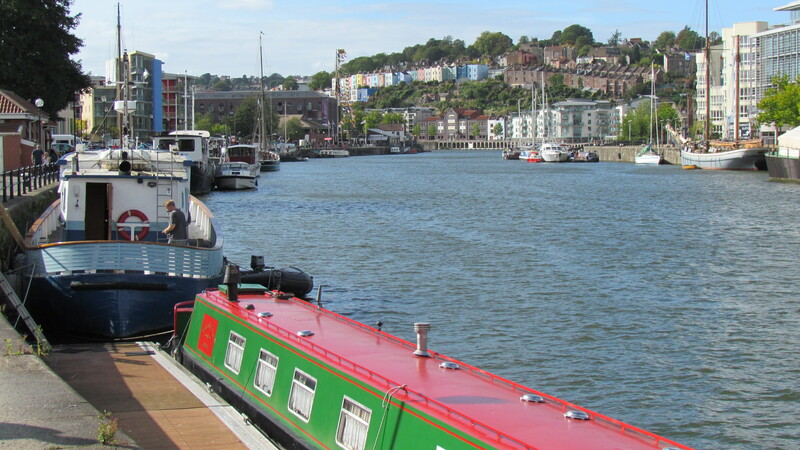 The New Cut is the tidal stretch of the River Avon to the south of Bristol harbour. It wa s dug in 1809, and allowed the river to flow freely around the floating harbour that had been formed between the Cumberland Basin and Temple Mead locks. 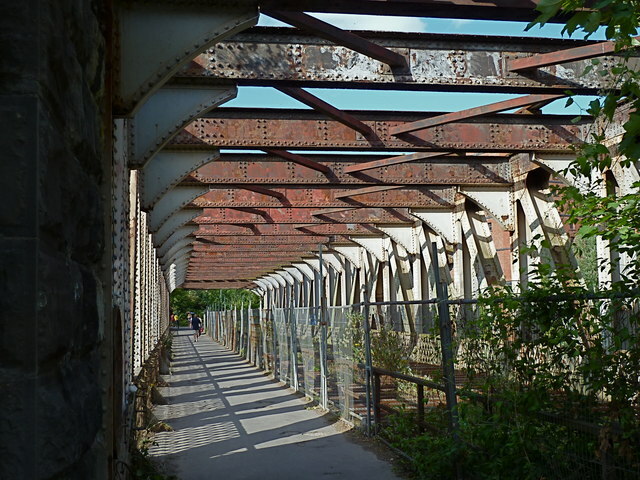 The walkway leads across New Cut via the Ashton Avenue railway bridge (below). Built in 1906, this was originally a two-tier bridge, but the roadway above was removed in 1965, when th e modern Plimsoll swing-bridge was built. The Plimsoll Bridge was named after another famous Bristolian, Samuel Plimsoll, a pioneer of safety at sea, and creator of the Plimsoll line. Once across the bridge, we were no longer in Gloucestershire, but in Somerset. We followed the footpath to the right along the bank of the Avon. 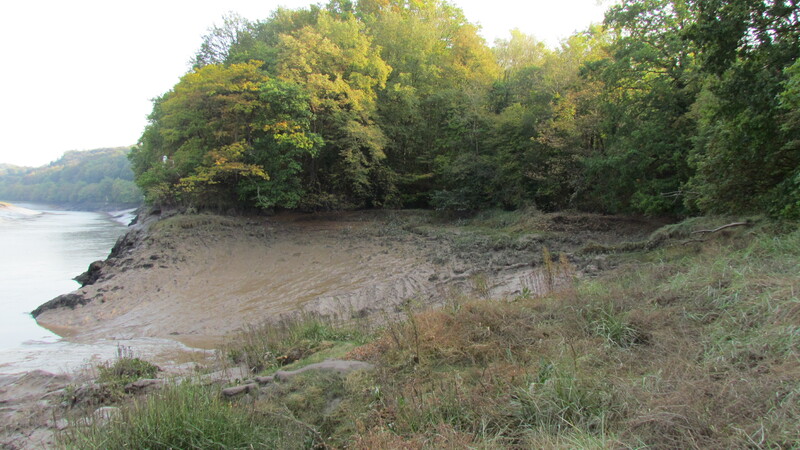 This was part of the River Avon Trail, a 23-mile cycle route between the city of Bath and Pill, a village near the Bristol Channel. I walked this route some years ago, but it has obviously been upgraded since then, and is a much smoother path now. 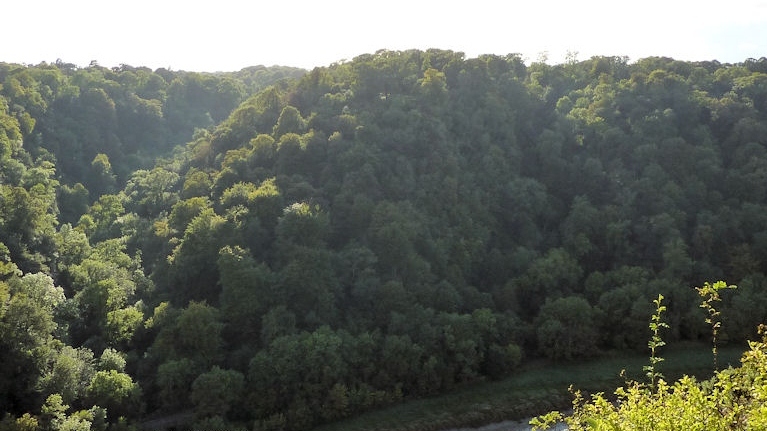 Initially, the path was also part of the Monarch’s Way, although that trail heads off to the west shortly after Clifton suspension bridge (via the Nightingale Valley). One of the longest trails in the UK, at 615 miles, the Monarch’s Way is a walk we hope to do in the future. It roughly follows the route taken by Charles II, following his defeat by Oliver Cromwell at the Battle of Worcester, in 1651. His escape, initially south to Charmouth, in Dorset, then east to Shoreham (Sussex), and finally to France, took only six weeks, and is a genuinely exciting story. We will be picking up the Monarch’s Way later, on the south coast. 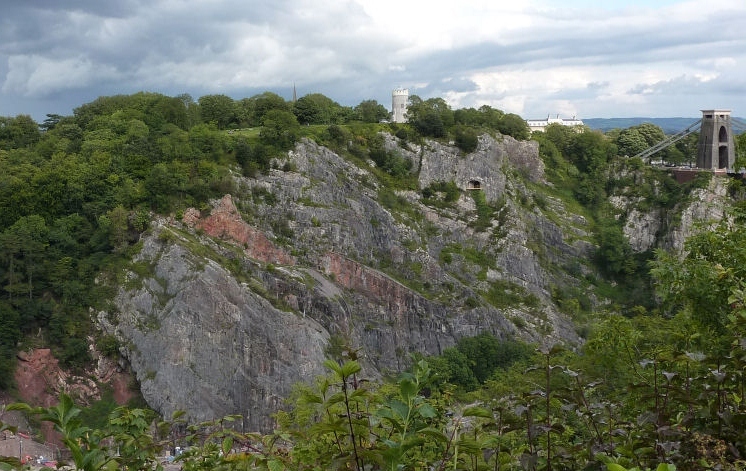 The hillside to our left became increasingly steep as we went under the Clifton Suspension Bridge for a second time. Beyond the bridge was Leigh Woods, part of which is a national nature reserve. High on the hillside, in the woods, was Stokeleigh Camp, an Iron Age hillfort. Perhaps not surprisingly, we decided to visit. Archaelogical evidence suggests that Stokeleigh Camp was built in the late 3rd century BC, and inhabited for about 400 years. There is then a 300-year gap in the archaelogical record, suggesting perhaps that the fort was abandoned in the first century AD and re-used in the 3rd and 4th centuries. Today, the ramparts of Stoneleigh do not appear particularly dramatic. However, two thousand years of weathering will have had an impact on the their height; woodland has grown up around them, further decreasing their impact. 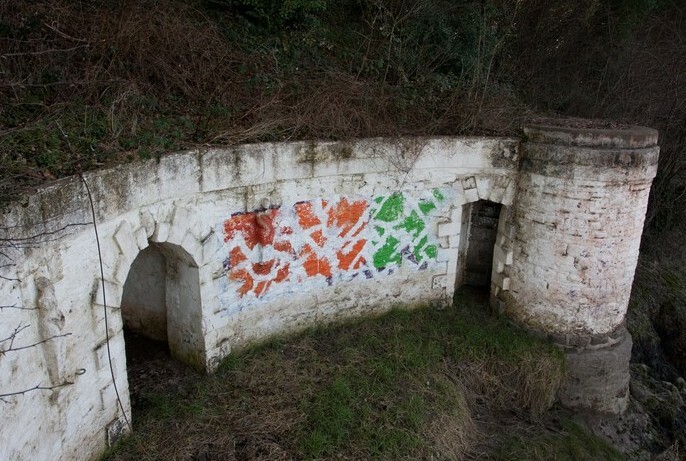 Perhaps it is not so difficult, if we allow for these factors, to imagine this fort in pre-Roman times, high on a promontory between the Avon Gorge and Nightingale Valley, presenting an awesome sight to an aggressor. There are traces of ancient stone walling on top of the ramparts, which would have made their appearance even more dramatic. Not only that, but Stoneleigh Camp did not stand alone. There are remains of two other Iron Age forts nearby – one on the other side of the Nightingale Valley, Burwalls Camp, and one on the opposite side of the Avon, Clifton Down Camp. Together, these three massive earthworks would have presented a formidable sight. So who inhabited these three ancient hill-forts? Pottery found in the area suggests that Stokeleigh was inhabited by the Dobunni, a celtic tribe of farmers and craftsmen who lived in an area similar to modern-day Gloucestershire. In common with several tribes of southern Britain, the Dobunni had issued coins prior to the Roman occupation, which suggests they were rich enough to have developed a functioning economy. The Dobunni were less war-like than their neighbours – the Silures of South Wales, and the Durotriges to the south – and sent envoys to make peace with the Romans even before the invaders had reached their lands. Consequently, they seem to have suffered less during the occupation; although Stokeleigh Camp was abandoned in the first century, there is no evidence of a violent encounter with the Romans. According to the Roman historian Cassius Dio, the Dobunni were already subservient to the Catuvellauni, a tribe to the east, so the Roman conquest may just have meant them paying dues to a different set of masters. Historically, the abandonment and re-colonisation of Stokeleigh Camp is not unusual. The peace enforced by the Roman occupation, and the increased trade opportunities with other parts of the Empire, probably encouraged people to leave the hill-forts and move into the more fertile valleys. When control by Rome waned in later centuries, this process reversed and hill-forts were often re-inhabited. Many other hill-forts, such as Maiden Castle in Dorset and Cadbury Castle in Somerset, follow a similar pattern. For more information about the geography and tribes of Iron Age Britain, I can thoroughly recommend Barry Cunliffe’s authoritative book, Iron Age communities in Britain. Returning to the Avon, we passed several disused limestone quarries, which would have been active in the eighteenth century when Bristol was a rapidly growing city. Coming to the end of Leigh Woods, we reached at an inlet in the river, with a small viaduct overhead carrying the Bristol to Portbury railway. Beneath this, there were the remains of what appeared to be a tiny harbour. Subsequent research revealed that the small harbour was known as Miles dock. The Miles family made their fortune during the eighteenth century, import ing sugar into Bristol from the West Indies (the third leg of the slaving triangle). 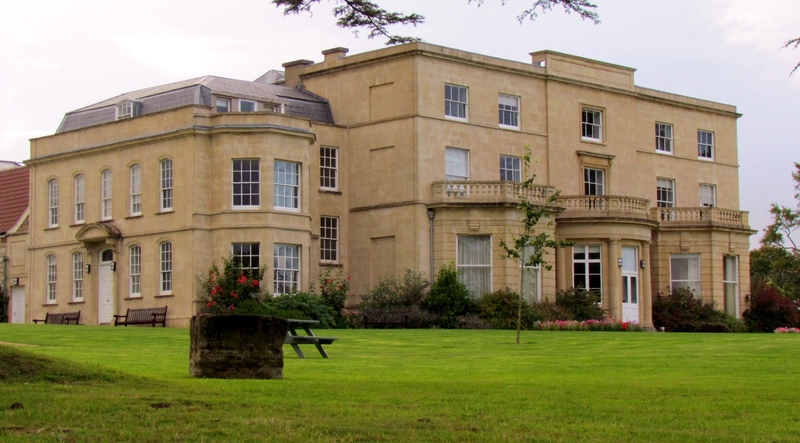 In 1814, Philip Miles commissioned the building of Leigh Court, a mansion above Leigh Woods. The dock was originally built to receive the the large quantities of Bath Stone needed for its construction. In the 1830s, red sandstone from the Leigh Court estate was used to build the two great piers at either end of Clifton suspension bridge. Miles dock was used to ferry the stone across the river. 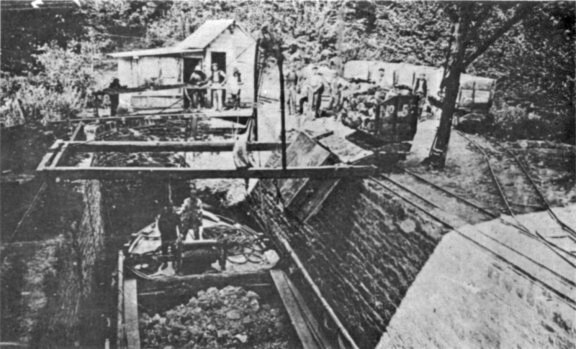 The dock then fell into disrepair, but was revived around 1880 when Henry Miles began to mine celestine on his estate. With the development of radiography and cathode ray tubes (both of which use strontium) in the early twentieth century, the demand for celestine increased and larger producers – notably the Bristol Mineral and Land Company – began to dominate the industry. Production at Leigh Court was abandoned in 1912, and Miles dock has not been used since. Mines in south Gloucestershire, however, continued to supply 90% of the world’s strontium until the Second World War. The gorge beyond Miles dock broadened out, and the river eventually took a sharp turn to the left – this is the Horseshoe Bend, a particularly difficult stretch of the Avon for boats to navigate. It has caused problems for many ships, notably the Kron Prinz, which ran aground on 1st April, 1874. Attempts to pull it free caused the the ship to topple over. This once-majestic ship then suffered the indignity of having its masts cut off so as not to interfere with other traffic on the river. Various attempts were made to refloat the ship, and these caused such widespread interest that the GWR built a temporary railway station nearby to serve sightseers. 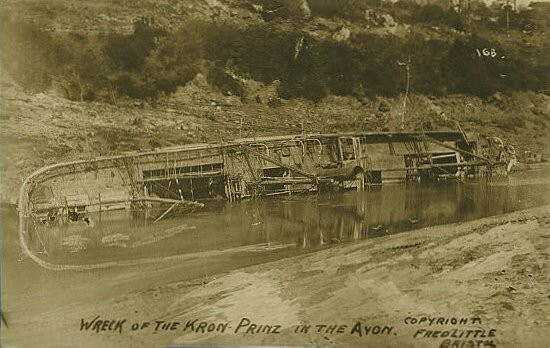 The Kron Prinz was eventually refloated three weeks later, and towed into Bristol, where it was repaired at a cost of £34,000. Later, it sank in the North Sea with the loss of all hands. Just beyond the Horseshoe Bend, on the opposite bank, is the Old Powder House. Built in the late 1700s, it was used to store gunpowder, which was not allowed in Bristol docks. Gunpowder deposited here could be reclaimed on the outward journey. The path began to veer inland away from the river, becoming a track between fields. However, just before leaving the river, we were able to scramble further along the shore to view an unusual riverside structure. The Adam and Eve is a watergate for Ham Green House, further inland. It is named after the two figures set into the wall on either side of the entrance on the left of the photo – a man and a woman now barely recognisable. 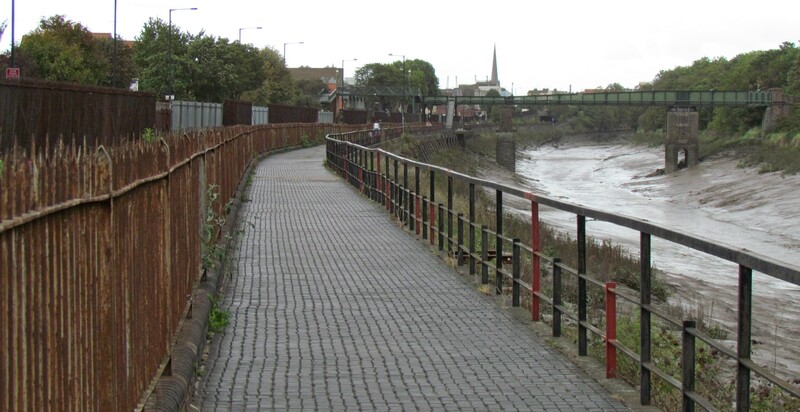 The Adam and Eve forms part of a stretch of wall known as Hung Road, so named because boats would literally be hung there during low tide, tied to the bank by their masts to prevent them toppling over. The tunnels stretch inland for some 250 metres to Ham Green House, although they are now blocked off. We therefore return to the track, which also leads to the House. Ham Green House, built between 1710 and 1730, has a history of particular interest to someone working in healthcare. In the 1790s, it was the family home of Richard Bright, an eminent physician whose extensive research into kidney disease caused him to become known as the father of nephrology. Kidney disease is still sometimes referred to as Bright’s Disease. Later, in 1893, Ham Green House was purchased by Bristol Council for use as an isolation hospital. 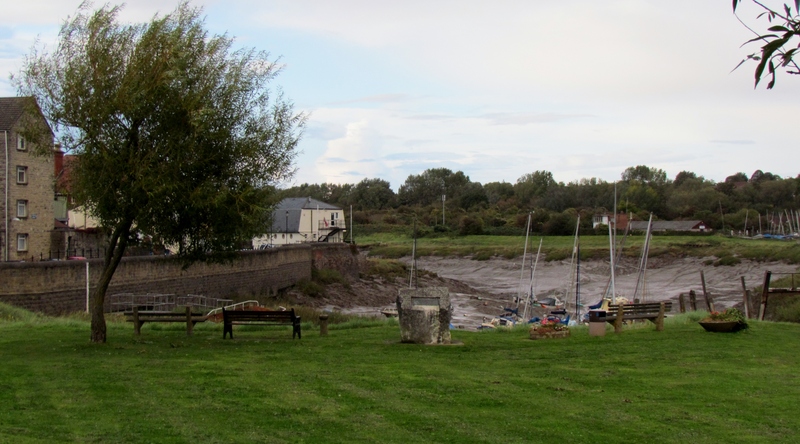 It was ideally placed to receive sailors returning to Bristol or Avonmouth who had contracted tropical diseases, and it is likely that many of these arrived by sea, via the Adam and Eve watergate. Nurses working at the hospital also used to walk down to the Adam and Eve to enjoy the sun and, in the 1920s, two nurses were swept away and drowned in the wake of a passing ship. This led to the passageways being closed and, eventually, sealed. Ham Green House was converted to offices after the Second World War, but returned to healthcare use in 2002, when it was purchased by the Penny Brohn Cancer Care Trust. This organisation specialises in the provision of complementary therapies for patients with cancer, and Ham Green House provides accommodation for many of those undergoing these therapies. From Ham Green, we returned to the river via Watchtower Hill. This hill, probably the site of yet another Iron Age fort, may well have got its name from its unique position above Pill Harbour. It would be an ideal place from which to monitor the harbour, and vet the craft using the river. The village of Pill today seems a forlorn place, which belies its historical importance on the River Avon. Notably, it was the home of the Pill pilots. The pilots of Pill, or Pill sharks as they were known, enjoyed an unrivalled reputation for guiding ships through the Bristol Channel and River Avon to the port of Bristol. This reputation dates back to at least the fifteenth century. Having negotiated the treacherous currents of the Bristol Channel, ships could only attempt the journey along the Avon at high tide, and they would usually be pulled by oarsmen from Pill rowing in small boats, or by hobblers pulling the boats by ropes from land. For most of the eighteenth and nineteenth century, licenced Pill pilots had a virtual monopoly on the business. At their peak, in the mid-1800s, 45 piloting boats were operating from Pill harbour. For the story of the Pill pilots, I am indebted to Peter Stuckey, whose book The Sailing Pilots of the Bristol Channel gives a fascinating account of this important but neglected area of Britain’s maritime heritage. The photo above shows Pill Harbour, with the Custom House in the background. This building dates from 1850, although there has been a customs house on this site since 1693. Throughout the eighteenth and early nineteenth centuries, officers based here were responsible for apprehending numerous smugglers on this stretch of coastline. The monument in the centre of the green commemorates the departure from Pill of Thomas Asbury (in 1771) and Thomas Coke (in 1784). These two individuals were both Methodist preachers and early followers of John Wesley. They volunteered to go to America, and were later named, by John Wesley, as co-superintendents of Methodist preaching in America. 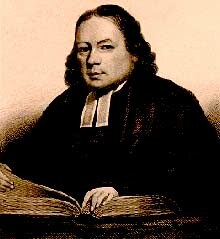 Although Wesley (a lifelong Anglican) would have objected to the term, they were popularly known as Bishops of the Methodist Church. Asbury was the only Methodist minister to remain in America during the American War of Independence, and spent 45 years travelling the country on horseback: preaching, wherever there was an audience, on a daily basis. 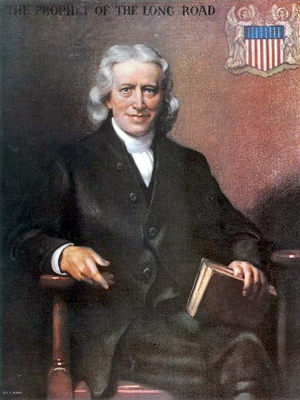 Under his leadership, the Methodist Episcopal Church grew from 1200 to 214,000 members. Thomas Coke, originally a curate at South Petherton, made numerous voyages to America and elsewhere, preaching and campaigning against slavery. Together, these two individuals are regarded as the first Bishops of the Methodist Church in America, which today has approximately twelve million members. John Wesley himself preached in Pill on numerous occasions between 1750 and 1780, and was instrumental in the building of Pill Methodist Church in 1757. Today, the village of Pill has lost the industry of piloting ships. In 1974, with the opening of the Avonmouth Bridge, it also lost the ferry service to Shirehampton. 16 of the original 21 pubs have closed. Pill is now just a commuter town for Bristol. However, all is not lost. Pill can still be proud that it is one of the few villages in England to be the subject of a song by the Wurzels. Several versions of Pill, Pill, I Love Thee Still can be heard on Youtube. Ahead of us, lay the Avonmouth Bridge. 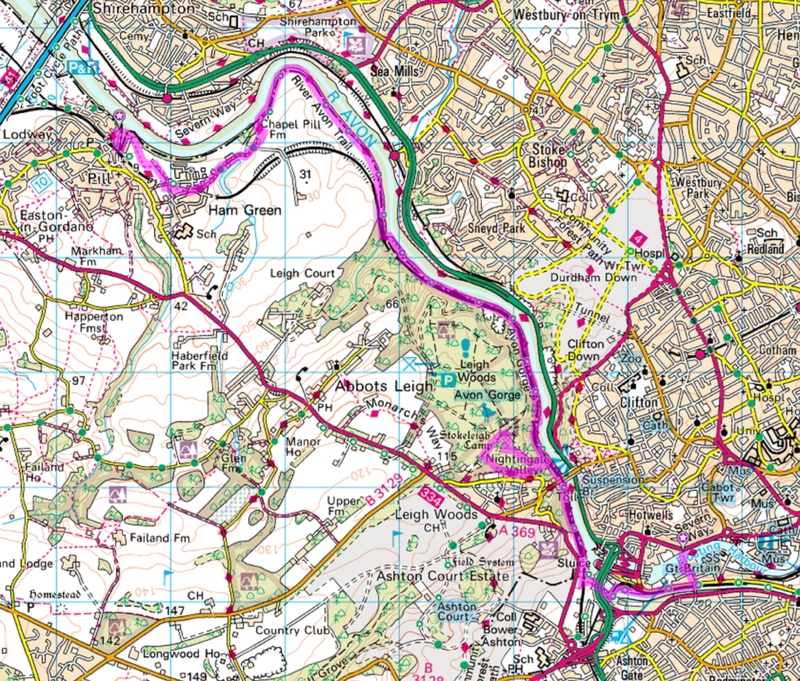 However, we decided not to plough ahead with our planned walk to Portishead, but to return to Bristol via Leigh Woods. There were dozens of paths through the trees just waiting to be explored, and Midge loves running through the undergrowth. We will be back tomorrow to do the short hop from Pill to Portishead! This entry was posted in Somerset and tagged Avon, celestine, Dubonni, Iron Age, Leigh, methodist, Miles dock, Pill, Stoneleigh. Bookmark the permalink. Well done Phil and Midge! Keep it up, I am sure you should have been a teacher – your blog is brilliant! Thanks Ruth, you’re too kind! 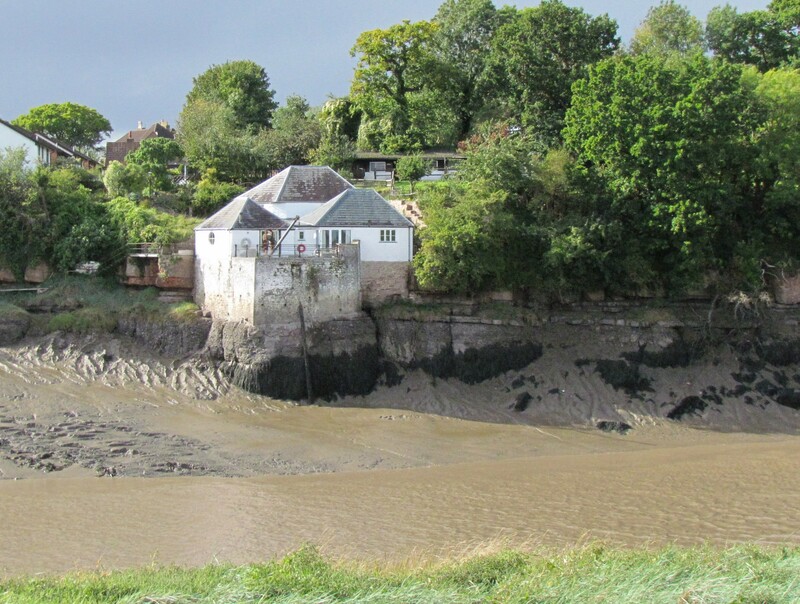 The hill you refer to as ‘Watchtower’ is actually called ‘Watch house’ and the small settlement of houses at the bottom has a house of similar style to the Powder House found on Shire side, right on the river called ‘The Watch house’ This was used as a customs house to monitor shipping in and out of Bristol. Hope you don’t mind me pointing it out – Your journeys you are recording are a great insight into the local area! PS. The building you refer to as the Custom House in the background is actually the Portishead Yacht/Cruising Club, built where the ferry box used to be sighted. The original single storey building has a newer top half which was built sometime in the 1980’s as I recall – The Watch House (Customs house) is on the opposite bank of the creek, to the right of the photo but not in the picture. Hi Ruth, just a quickie question. Was there any particular reason why you did not choose to cross the Avon by way of the Avonmouth Bridge? Hi Alan, the route alongside the Avon stimulated my curiosity and looked enjoyable, and I also love the city of Bristol. For me, this is not about following the shortest route around the coast, but the most interesting – I have generally avoided motorway bridges and ferries. Also, a walk around the coast that misses out one of the most historically important British ports just doesn’t seem right. David Cotton Useful website from someone who has walked everything! If you have enjoyed my blog why not donate to my favourite charity? As a nurse at St Margaret’s, I know how important every donation is . . .